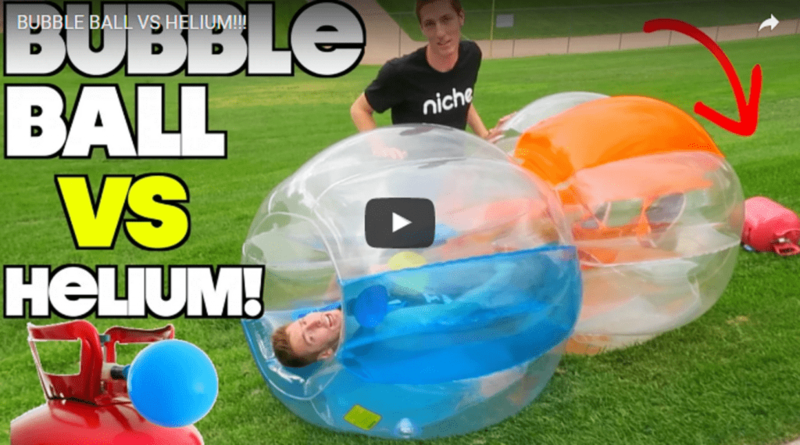 – See what happens when you fill bumper balls with gas that is lighter than air! Surfing the internet seems like there is no end and you’ll never browse trough all websites as there are so many, and so many coming to life each day! Searching YouTube with keywords like bumper ball, bubble ball, zorb ball let us found an awesome channel More JSTU. Those guys who video blog there do a really amazing stuff experimenting with all sorts of things. There are like amateur scientists who want to see the results of the crazy things that come to their minds. They also experimented with bubble balls or bumper balls we use to play Bubble Football. Their idea was to fill up the bubbles with helium. They supposed that it would make bubbles much lighter and let them fall to the ground in slow motion mode after crashing each other wearing helium filled bubble balls. Bubble Football – Top Trending Activity for Stag Dos in Krakow!